Law enforcement and the courts in Texas take stalking accusations very seriously. Stalking is a felony in Texas, and a conviction can completely overturn your life and destroy your reputation. Even a mere accusation from a former partner, co-worker, or acquaintance can impact the way others view you.. Such a serious accusation demands a serious defense, and right away. If you have been charged with stalking in Dallas or Tarrant County, Dallas stalking defense attorney RJ Harber is here to help. As a former Tarrant County prosecutor-turned-defense attorney serving the DFW area, RJ Harber has experienced the criminal justice system from both sides, and he knows the tricks and arguments prosecutors use to secure a conviction. He will fight tirelessly to defend you against the charges you’re facing and to lower your chance of a conviction or to minimize your penalty. If you have been accused of stalking, time is limited to mount your defense. Contact the Law Offices of RJ Harber today at (214) 389-1189 to schedule a confidential consultation. We want to hear your side of the story, and we’re here to fight for you. Would cause a reasonable person to fear for their safety or property, or that of their family, or to feel harassed. A prosecutor must prove all three of these points in order to convict a defendant of stalking. Under this definition, stalking can take a number of forms and can happen in person or even electronically. Stalking is considered a third-degree felony for a first offense, or a second-degree felony for a second or subsequent offenses. Incarceration, hefty fines, and a conviction on your permanent record can be devastating in both the short and long term. That’s why it is crucial that you defend yourself against these allegations at all costs. Fortunately, hope is not lost. A mere accusation of a crime like stalking does not guarantee a conviction. That’s why it is so critical that you hire an experienced attorney to help defend you. The sooner you hire an attorney, the stronger your defense will be, and you may be able to avoid penalties like those listed above. The State of Texas has an incredible amount of resources at its disposal. If prosecutors are willing to use those resources on you, it is because they think they can get a conviction. They will dig up any kind of evidence they can find. They will interview anyone they might find helpful, including people who may have it out for you. They may even track down records of your comings and goings. The average person is not prepared to face these tactics, much less fight back with a well-planned defense of their own. Defending against charges of stalking or any other crime is a complicated process that takes training and knowledge to do well. The sooner you get in touch with an experienced stalking defense attorney, the more effective your defense can be, and the better chance you have of escaping the charges or coming away with a lower penalty. So don’t hesitate. If you have been charged with stalking in Dallas or Tarrant County, get in touch with a Dallas stalking defense lawyer as soon as possible. Stalking charges are a serious threat to your life, finances, and reputation. As soon as you have been charged with stalking in Dallas or Tarrant County, it is absolutely urgent that you get help from an experienced criminal defense lawyer right away. 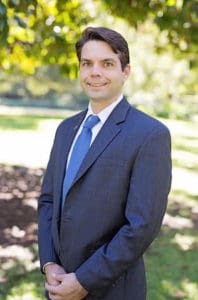 Dallas stalking defense attorney RJ Harber has years of experience fighting for the rights of criminal defendants, and a knowledge of the criminal justice system and prosecution for stalking that can only come from formerly working as a prosecutor. He will work tirelessly to build a solid defense and minimize your chance of conviction or the penalties you will face. For more information, call the Law Offices of RJ Harber now at (214) 389-1189.